Art & Frame of Sarasota: Check This Out: Ampersand Encausticbord! Ampersand™ Encausticbord™ is the only surface formulated for the specific demands of encaustic painting and mixed media. 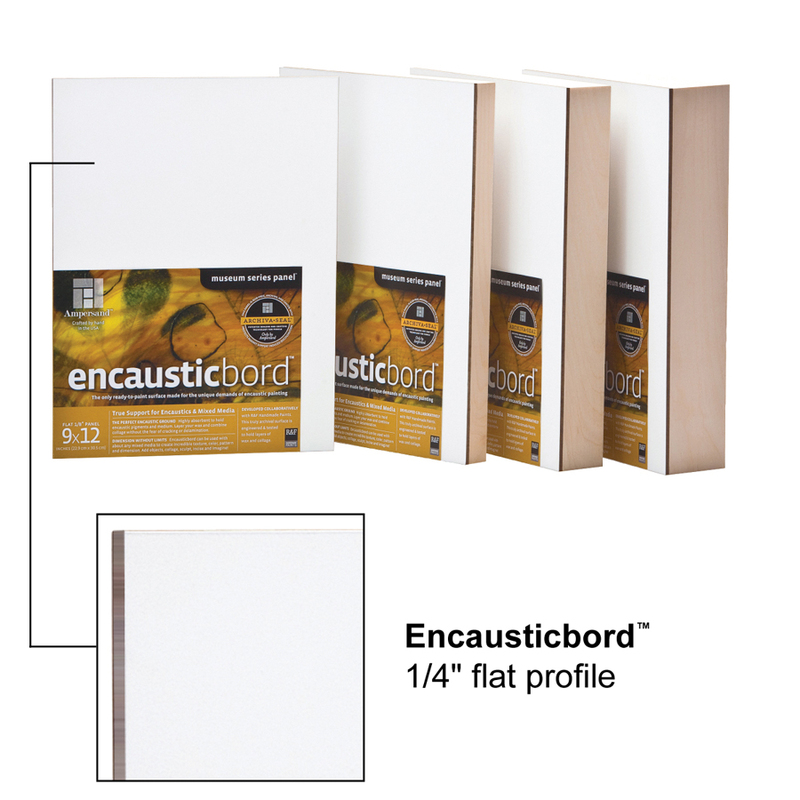 Encaustic gesso is applied to a hardbord surface to create a bright, smooth and velvety surface that is ready to use with encaustic paints. The gesso, or ground, is heat resistant and highly absorbent. It holds tight to layers of wax and collage without the fear of cracking or separation. Use with encaustic paint alone or in combination with collage, image transfers or oil sticks to create a variety of textures, colors, and patterns- or try it with water-based paints, inks and pencils! 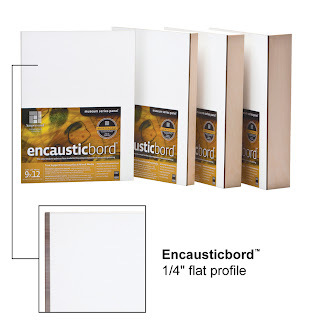 Encausticbord comes in 4 different thickness'- 1/4", 7/8", 1 1/2", and 2 1/8". Ampersand also makes Claybord, Aquabord, Gessobord, Scratchbord, Pastelbord, Hardbord, and Artist Panels. You can find them all here.